Most hunting seasons across the country are closed. Even though the guns are probably put away, the dreams of next season have already begun. 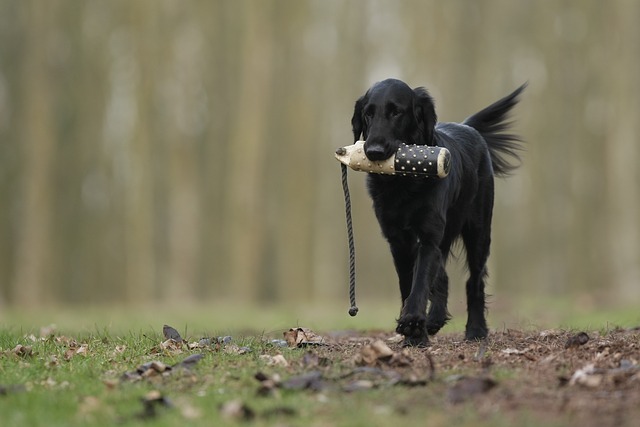 With all this time off, how do you keep your gun dog ready for hunting season? Offseason hunting dog maintenance starts now. Do the work now, and your dog will be ready to hunt hard and effectively this fall. Whether it’s doves, ducks, grouse, geese, or pheasants, the hunting dog training principles remain the same. We’ll review diet tips, exercise tips, and everything in between to help you prepare your gun dog both physically and mentally for opening weekend, and beyond. If you did athletics in school, the first practices were always the worst. Why? Extended time off led to a couple weeks of being very sore and tired. 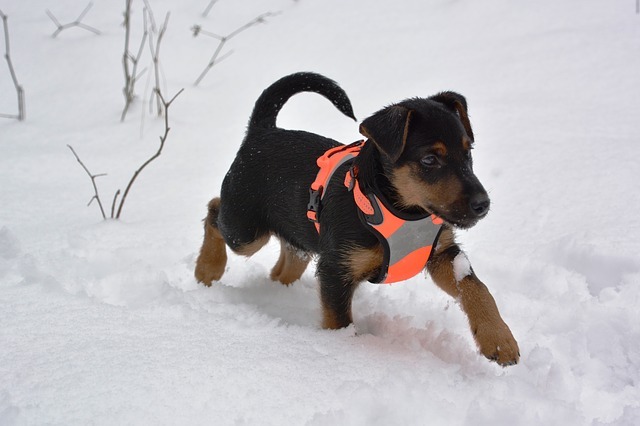 Don’t let your dog enter the field unprepared. Don’t be too abrupt with training, either. Build up to the level of conditioning your dog needs for at least a month before opening day. If your dog will be swimming during hunting season, make sure he or she gets plenty of time conditioning in the water as well. *With any conditioning, make sure to keep your dog well hydrated! Keep an eye on your dog’s activity, and adjust the food intake accordingly. Depending on how hard you hunt, your dog will probably require less calories in the offseason. The biggest concern is weight gain. If your dog gains too much weight due to inactivity, he or she will be more susceptible to heart, joint, and bone issues. Be sure to check the quality of your dog food. The cheapest food on the market will probably not be the best for your dog. Typically, cheaper dog foods are highly processed. They have more carbohydrates in the form of grains or corn. Why? They are abundant and cheap. For more tips, check out this awesome article on improving your dog’s diet. Dogs don’t get all the good stuff they need from a typical diet. Even if you work really hard to improve the diet of your hunting dog, you’re probably missing a few things. Here are just a few supplements worth considering to improve your dog’s hunting performance, and overall health. 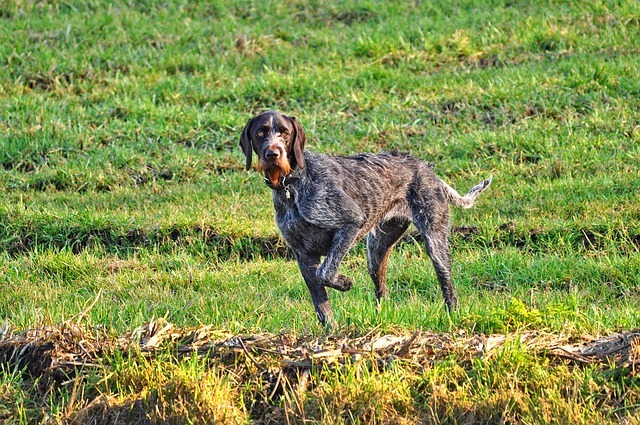 Enzymes – Easy to overlook, enzymes are very helpful for your hunting dog’s digestion. Omega 3s – Fish oil, packed with Omega 3s, helps a dog’s heart, joints, immunity, skin, fur, and more! It’s a must-add to your dog’s diet. Probiotics – If you want to support a healthy gastrointestinal tract, start with a good probiotic. Aside from general skills training, there are a variety of exercises you can do during the offseason with your hunting dog to improve his or her performance in the field. Aside from obvious training activities, it’s important to replicate the hunts. Attire, sounds, people, places, etc. This is especially important if your dog is less experienced. For example, if you have a retriever, break out the waders and decoys at some point before opening day. Blow on your duck call, and confirm your dog can handle the sound of your gun with composure. Make sure your dog is ready for the water and retrieving distance he or she will have to run or swim. Get your dog’s nose ready for the scent of the field. Try to save some feathers, fur, blood, etc. from the previous season. After your dog’s off-season sabbatical, he or she needs to re-associate with the smells. A little scent-based training will help your dog’s nose stay sharp. I know, I know. Your dog already knows all the basic commands. It’s very important to reinforce the fundamentals throughout the offseason, even with experienced dogs. This will help you maintain your role as the leader, and will help your dog be ready to roll on opening weekend. 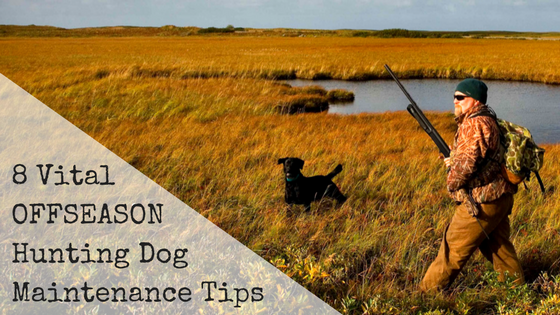 The best hunting dogs do the fundamentals perfectly, and they don’t get that way by accident. Need help to stop your hunting dog from barking? The BarkBlaster is the most effective, humane solution on the market. We’re not talking about Kit Kat bars. Don’t do that. However, if you’re all work and no play, your hunting dog can burn out. This is especially true for younger hunting pups. Break up work time with some casual play. Keep an eye on any indicators that your dog is stressed out. Don’t push your dog to the point that he or she dreads training. It’s always a good idea to get your dog checked up before beginning intensive training or hunting. Your vet can help prepare your dog for dangers in the field, like Lyme disease. 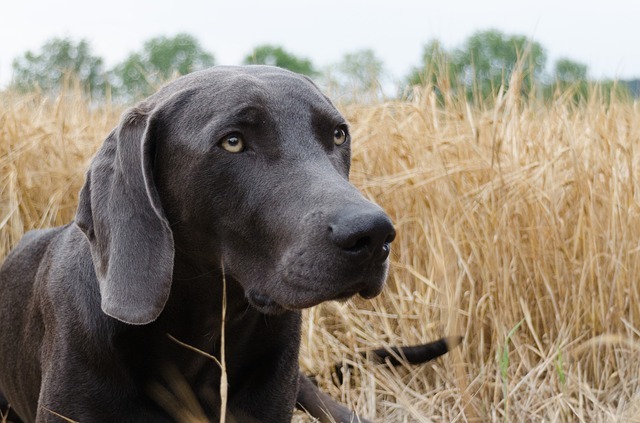 Your vet can also make sure your dog is ready for the physical toll of training and hunting. It’s that easy. A little off-season hunting dog training will lead to successful hunts, happy hunters, bag limits, and full freezers. Not only that, it’s a great opportunity for you to bond with your dog(s). What kind of off-season work do you and your dog do to prepare for opening day? Tell us about it in the comments below!